A collection of Walt Willis’s 1952-1965 fandom columns from Nebula magazine (initially as “The Electric Fan”, later “Fanorama”), continued in the fanzines Zenith and Psi-Phi. 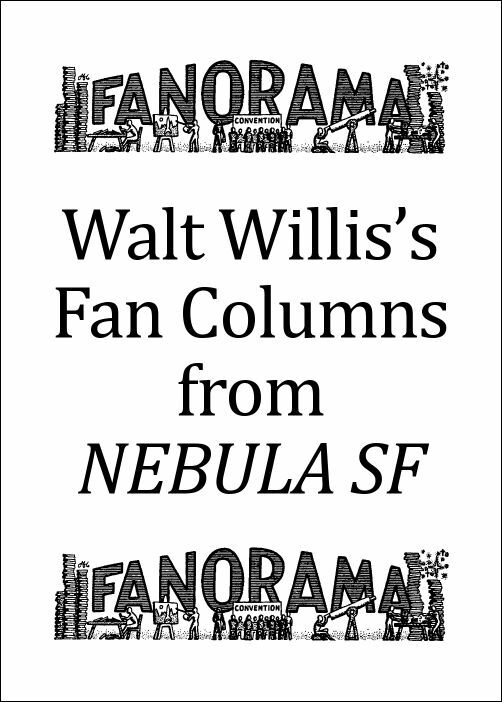 Robert Lichtman assembled and introduced this material in the printed booklet Fanorama: Walt Willis’ Fan Columns from Nebula Science Fiction (November 1998). The text was later placed online at eFanzines.com, which became the basis for this Ansible Editions ebook – added to the TAFF site in June 2017. Cover art: 1955 column masthead by Alan Hunter. 46,000 words.